A-HOTEL.com - Luxury and cheap accommodation in Staroye Pobedilovo, Russia. 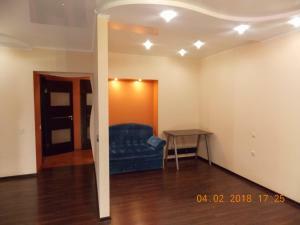 Prices and hotel, apartment booking in Staroye Pobedilovo and surrounding. Regatta Hotel is located in Kazan, 100 metres from Lake Sredny Kaban. Water sports equipment is available on site. Located in Kazan, within 2 km of Marcani Mosque and 2.7 km of Church of the Exaltation of the Holy Cross, Parison provides free WiFi. 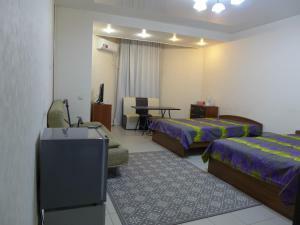 Set in Kazan, 2.1 km from Marcani Mosque, Портовая 17 offers a living room with a flat-screen TV, and free WiFi. Set in Kazan, 1.6 km from Marcani Mosque, Hostel Kazanskiy Skvorechnik features free WiFi access and free private parking. Free Wi-Fi, a modern sauna, European cuisine, and a 24-hour reception are offered by this quietly located hotel in Kazan. The Kazan Fair Exhibition Centre is just a 5-minute drive away.